Tamara and Demon album is the soundtrack of the 3D cartoon of the same name, created By Nikolay Aladinskiy and Petr Bobryshev - StPetersburg, Russia. Muhmood - is a one man act and the stage name of Alexei Biryukoff - a Siberian artist, who makes conceptual projects that include large scale figurative paintngs, perfomances, installations and sound. 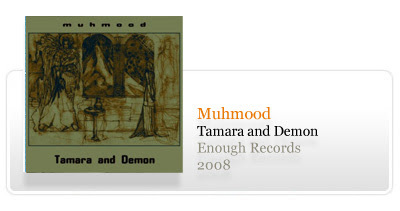 Muhmood's music is a mixture of all kinds of styles, starting from a capellas, going thru experimental dark ambient with an ethnic streak [mostly middle eastern] and creative percussion, ending with heavy guitar riffs and powerful drum sets. 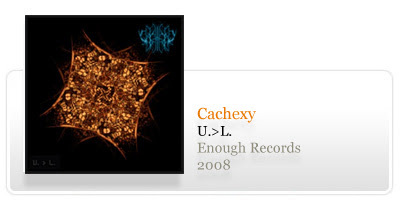 New album by previous enough releaser Cachexy. This time with a 5 track dark ambient noise soundtrack exploration including some cover/remix versions from tracks by Olya and Monster and The Litz. 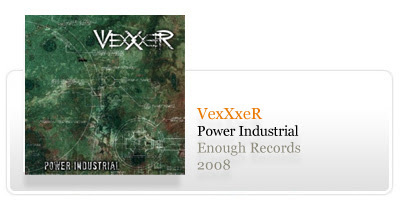 4 track demo from the new Portuguese power industrial project VexXxeR.